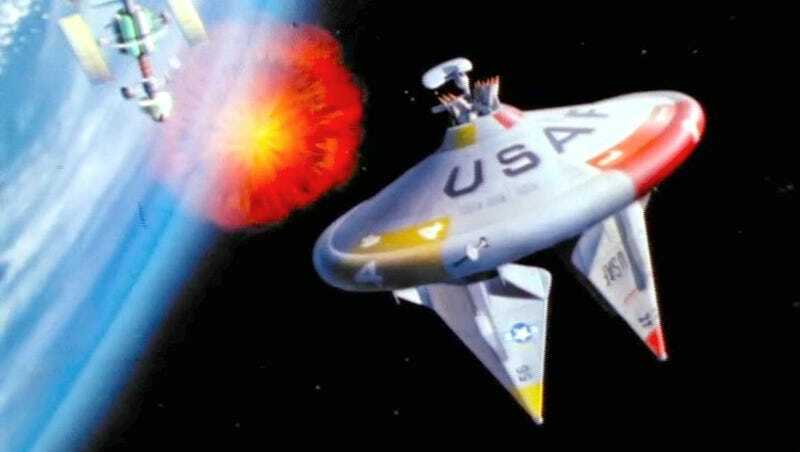 The 1963 U.S. Air Force film Space and National Security envisioned futuristic wars conducted in space. The clip above is taken from the fascinating NOVA episode, Astrospies. Many thanks to Matt Chapman of Homestarrunner.com for bringing this clip to our attention. As Matt points out, the "non-animation animation" is similar in style to many of the 1950s Disneyland TV episodes like Mars and Beyond, and Man and the Moon, as well as non-Disney films like Rhapsody of Steel.